Hamsphire has several exciting venues within its borders for a great day of paintball. There is a venue is located near Basingstoke just outside of Lasham, the venue has great transport links and is easily reached from any area of Hampshire for paintballing fun. The site also has recently upgraded some equipment to offer you the latest in paintball marker technology! 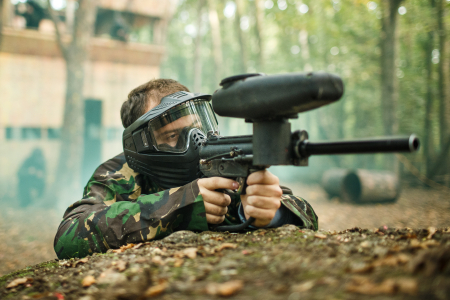 Also located in Hampshire is the Southampton Venue, this site has recently refurbished many of its paintball fields, making each one an amazing experience with different scenarios. Also servicing Hampshire is the Salisbury venue that may be more convenient for some.